I may have taken a few too many pictures of this here mixed fruit tart. I mean, c’mon, can you blame me? The crust was thick, the fruit was ripe, and after two other failed attempts, I was really excited to have gotten it right. Just look at that shiny, beautiful, deliciousness. I have this cookbook called Perfect Party Food. I love the way it’s written – it’s all recipes for a crowd, and she gives you the ‘Diva Do-Ahead’ steps where you can prep stuff ahead of time and have it ready, then just pull it out and do the last couple steps to get it ready for presentation and eating. 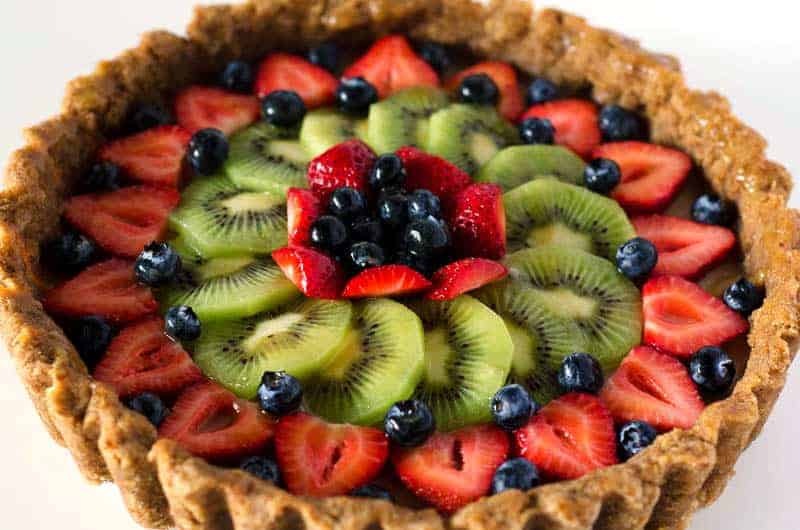 There’s a recipe for a mixed fruit tart in that cookbook that I’ve only made once, but man was it good. Sadly, it’s full of all the things I try not to eat now – graham crackers, cream cheese, sugar. So I set out to make it paleo. I’m happy to report that I’ve succeeded. The crust was the hardest part. This was my 3rd try on the crust, which I finally got to stay together. The first one puffed up like a big ‘ol pastry in the oven, then collapsed into a pile of mush. The second one crumbled into a million pieces. I ended up spreading them out on a baking sheet and cooking them until they were crispy and delicious, but it didn’t help much on actually having a crust for the tart. Then I tried one more time. From there, I just needed the filling. I experimented with it a bit, but luckily only had to make it once. Keep in mind that soaking the cashews overnight will result in a smoother and creamier filling, as they’ve had time to absorb more of the water – if you’re in a pinch, though, you can certainly just give them an hour. You’ll need that crust to be cool before you pour the filling in, then once it’s full, you’ll need to chill it until it’s set. This can take a couple of hours, so I’d recommend putting it in the fridge and finding something else to do for a bit. This is where those “Diva Do-Ahead” steps come in! Make your crust, chill for up to a day. Same thing goes for your filling – make your filling, add it to the crust, and chill for up to a day until you’re ready to top and glaze it! 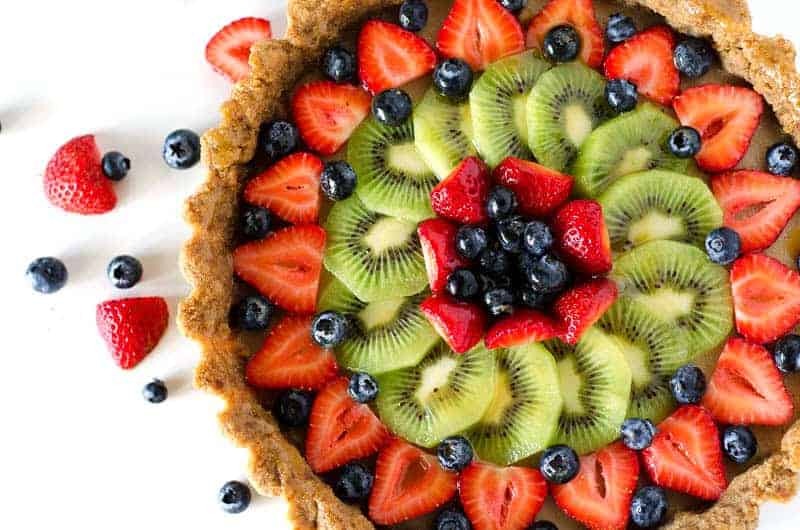 Right before you’re ready to serve the fruit tart, you’ll want to top it with the fruit and make the glaze. The glaze is simple to make, but a word of caution: don’t make it ahead of time and try to refrigerate it. It will turn into a gloppy mess. 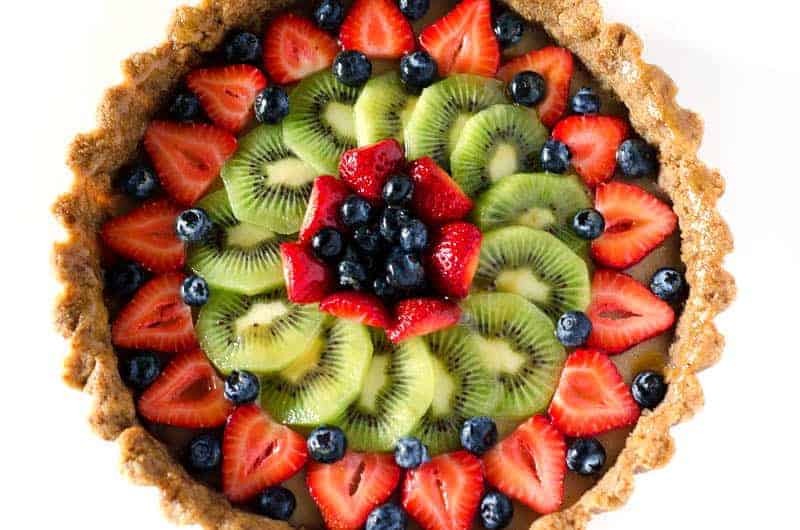 It needs to be slightly warm and thin to be spread over the fruit and the crust. You’ll probably have leftover glaze, but it’s not worth saving (see above, gloppy mess). And no, you cannot make it ahead, refrigerate it, and then reheat it. Doesn’t work. I tried. I put the whole finished fruit tart back in the fridge for a few hours before serving it, and it was perfect. 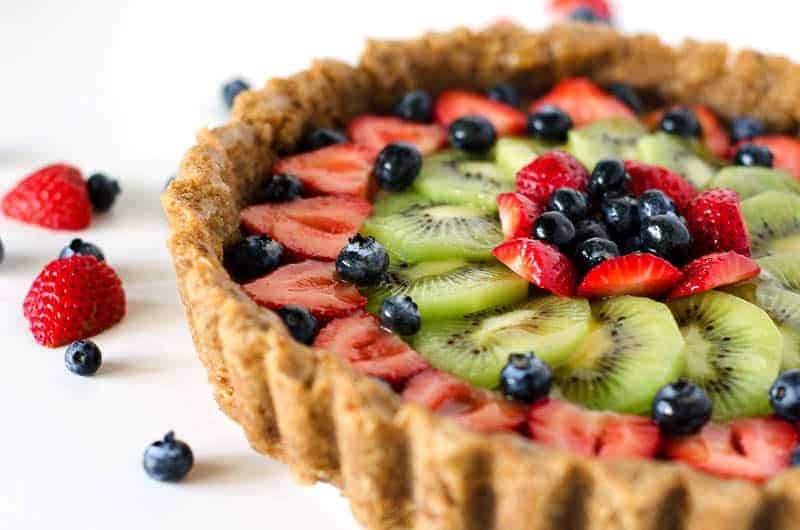 I recommend cutting and serving it chilled, as the stability of the whole tart might get a little questionable if left out of the fridge for hours on end. We also had leftovers in the fridge for about 4 days, and they kept just fine. Any more than that and I think your fruit might start to get a little bit questionable and soggy. That’s a lot of fruit tart advice. Don’t stress. It’s a bit of work, but one of those “totally worth it” recipes. And it looks like more work than it actually is, because there’s a few extra steps. 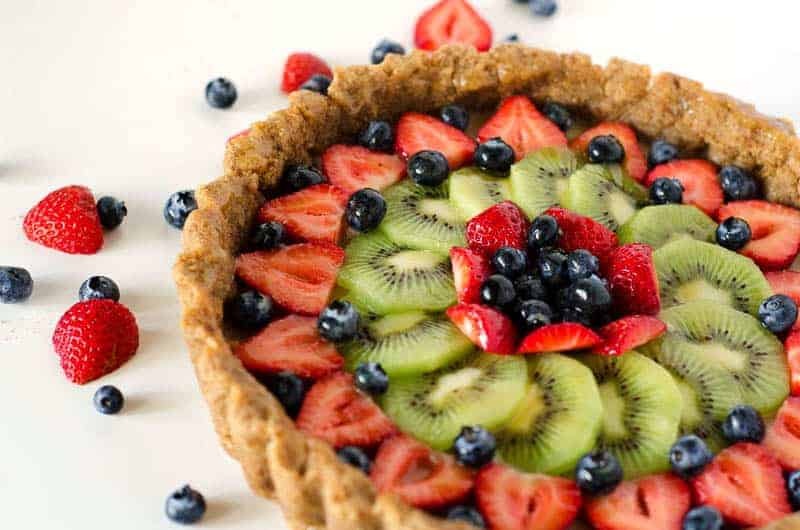 But – fresh summer berries, bright lemon in the crust and filling, a bit of sweetness but not too sweet. 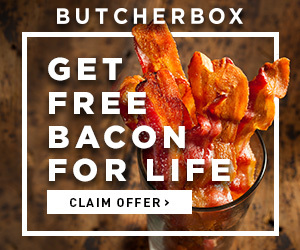 Plus, it’s completely paleo. Winning. 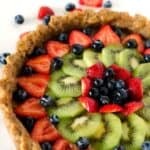 And with that, I leave you with a smorgasbord of fruit tart photos (yes, I just wanted to use that word), and a recipe to wow all your friends. Enjoy! Combine the almond flour, coconut flour, coconut sugar, salt, and lemon zest in the bowl of a stand mixer and stir to combine. Cut the cold butter or ghee into chunks and add to the mixture along with the egg. Press the mixture into the tart pan, making sure to fully cover the bottom and all the way up the sides of the pan. Bake in the oven for 20-25 minutes, until a golden brown color. Remove from oven and set aside (or place in fridge) to cool. To make the filling, place the coconut milk, soaked cashews, honey, and lemon juice into the bowl of a food processor and run until the mixture is smooth. Scrape into a bowl and set aside. Place the water in a small bowl, and sprinkle the gelatin on top. Set aside. Remove saucepan from heat. Whisk the gelatin into the water (it should be gooey by now!) then whisk the gelatin mixture into the eggs. Add the egg mixture to the rest of the filling ingredients and whisk to combine. Pour the filling into the cooled pie crust, smooth out flat, and place in fridge for 2-3 hours, until filling is set and firm. In a small saucepan over medium-low heat, combine the orange juice, coconut sugar, and grassfed butter and whisk to combine. Once the sugar has dissolved, whisk in the arrowroot powder and remove from heat. 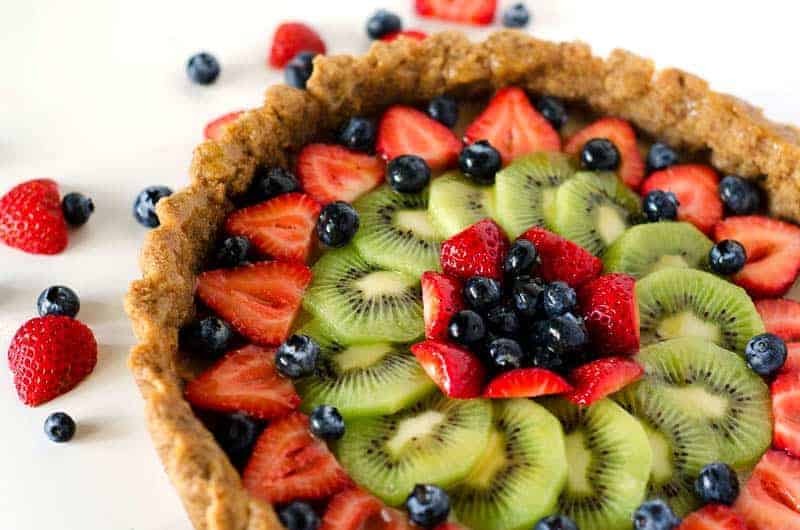 Using a pastry brush, brush the glaze over the fruit and the edge of the crust until coated and shiny. 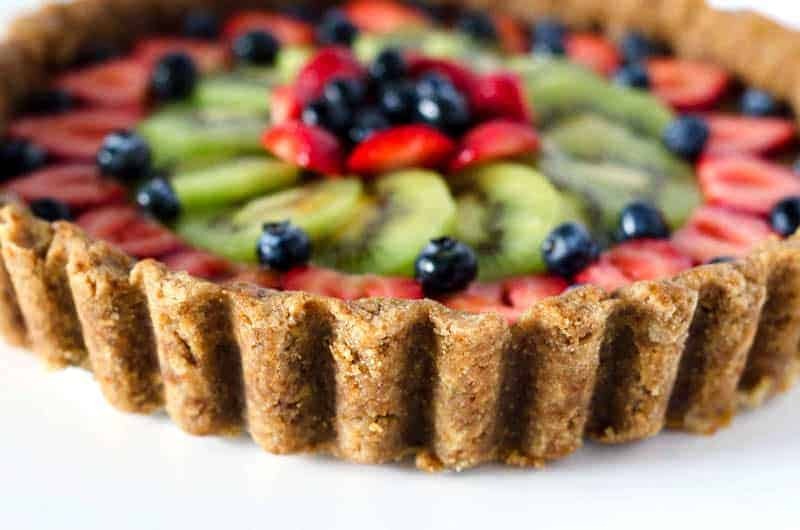 Place tart in fridge and chill until ready to serve!